Every time these players come out to bat, their body language speaks for themselves to the opposition the following words, ‘We can bowl, but we can bat more than just a bit’. The match is not over till the last ball and it is because of the vital contributions of batsmen at nos. 8, 9, 10 and 11. Eventually these runs determine the difference between the two teams and have the most ultimate impact on the result. These days, in teams there seems to be no place for bowlers who cannot bat because cricket continues to remain a batsman’s game and with T-20’s ever-growing popularity, batting has been given even more emphasis. Here are some examples of some of most effective lower order batsmen who are able to bat their team out of a dire situation and perhaps go on to win the game as well. Vettori was very much a ‘Chris Martin’ in the first six years of his career as he had more single-digit scores to contend with rather than double digit scores. He was made to bat at either no.9 or no.10 for the Kiwis as he was not aware of his batting potential then. But come 2003 and he had gained enough experience by then. He realized that New Zealand had a lack of batting firepower in them which did not win them too many matches, especially in the longer version of the game. As a result, he gradually moulded himself into the team’s bowling spearhead who can also bat whether the situation requires him to do so or not. His first Test hundred as a result, came against Pakistan at Hamilton in 2003. Although his inconsistency continued even after that, but the hundred was a stepping stone to big scores which were just around the corner. As he kept improving, he started to bat at No.8 on a frequent basis as Stephen Fleming’s confidence in him kept growing by the day. Sometimes he was even asked to play at No.7 and it was evident that the world will witness the birth of Vettori, the all-rounder. From the moment he was chosen as captain, he was more careful about his batting than before. 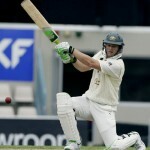 With consistent performances, he even promoted himself to No.6 in several Tests with the absence of the all-rounders such as Jacob Oram or James Franklin which New Zealand needed so badly to fill the balance in their side or also the fact there is an absence of a solid middle-order batter. Today, Vettori belongs to the elite club of cricketers to have picked more than 300 Test wickets and scored more than 4000 Test runs in their careers. His batting responsibilities might have eased out recently with the emergence of youngsters such as Dean Brownlie but Vettori by far is one of the best batsmen in the New Zealand Test side as of now despite no longer being captain. Although his impact in ODIS with the bat is much lesser, he has over 2000 runs in the format as well and can strike the ball cleanly if needed. Warnie will definitely be remembered for being the ‘spin king’ of all time, having picked over 1000 wickets in both formats of the game. 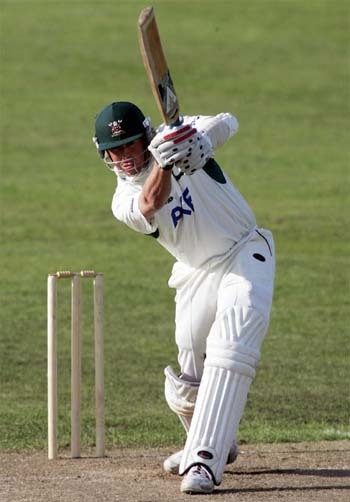 But he has always tried to fight hard when he has the bat in his hand as well and in Tests, he did play some memorable knocks which helped Australia get decent totals even if the top-order suffered from a rare failure in those days. The most memorable of them all is the 42 he scored in the second innings of the second Ashes Test at Birmingham in 2005. Australia needed 282 to win, but were reeling at 137/7 when he came into bat. Even with Michael Clarke at the other end, the English bowlers were dominating the proceedings by far and the match would have surely been over on the third day itself if it was not for Warne’s perseverance. He caught Michael Vaughan and co. off guard with his free-flowing strokes and actually gave Australia some hope to win out of the blue. But fate still belonged to England as he was out hit wicket to Andrew Flintoff on 42, missing out on a fifty and his side still shaky at 220/9. 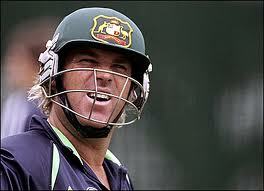 Unfortunately for Warne, his effort was in vain with England winning by just 2 runs. In the next Test at Manchester, he scored a 90 in the first innings batting at No.7 and top-scored for his side which was again wobbling at 133/5. 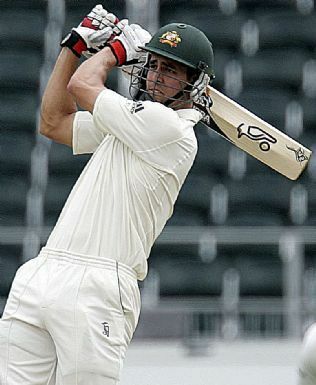 While in the second innings, his 34 was crucial in Australia doggedly batting out for a draw when he supported captain Ricky Ponting very well. He even ended his Test career with a 71 at the SCG in 2007 against England which helped Australia take a lead of over 100 runs and demoralize the Poms. Otherwise, his highest score is the score agonizingly one short of a century, i.e, 99 against New Zealand at Perth in 2001. Warne has the most number of Test runs by any player without scoring a century, which include 12 Test fifties and they had helped the then-champion side to draw lost matches if not win. His 257 against Zimbabwe at Sheikhupura in 1996-97 is the highest score in Tests by a No.8 batsman. 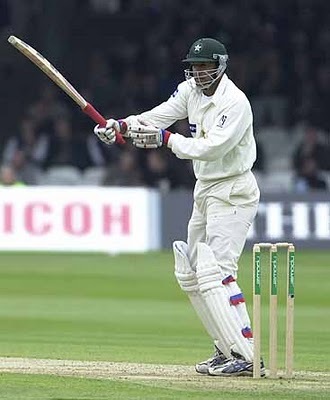 Yes, Wasim Akram could be as threatening with the bat as well as the ball. The most explosive cricketer of his time, Wasim had the capability of turning a match in Pakistan’s favour with his immense power. 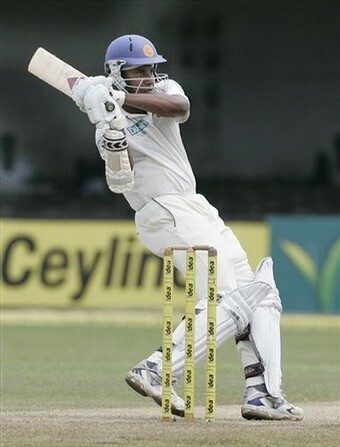 In his 104-Test career, he has scored 2898 runs at a healthy average of 22.64. It included another two centuries, i.e, at Adelaide in 1990 and Galle in 2000. There were a couple of fifties to support them as well. While in ODIS, in 356 games, he scored 3717 runs at an average of 16.52 but an amazing strike rate of 88.33 was good enough for him to be considered effective as all he had to do was come out and hit hard, playing a quick innings to guide Pakistan home. In those days, Imran Khan was considered to be the Pakistani all-rounder to might have ever taken the field but Wasim Akram proved it with his batting that he could be considered in that category and he was primarily responsible in Pakistan being one of the top ODI sides in the 90s, if not in Tests. It is said that the fruit of patience is very sweet. Perhaps nobody would know it better than Vaas who had to wait for 97 Tests to score a maiden Test century. It came against Bangladesh in 2007. Despite having talent with the bat, he was unable to post big scores for Sri Lanka and though it might have still helped the team, it would have caused a certain amount of frustration within him. He has 3089 runs in his name in 111 Tests at an average of 24.32, which shows that he has the resilience to play the big innings but just did not have enough batting skill to support him. Vaas also has scored all his 13 half-centuries since 2001, proving how seriously he took his batting as he gained experience. While in ODIS, like his counterparts, his numbers do not make that great a reading as his average is under 20 and has scored only slightly above 2000 runs in the format. But he could pack a punch if required and cameos from him were always crucial for a side like Sri Lanka who do not have a history of producing great lower-order batters. Harbhajan Singh may not be a part of the Indian team currently, but no Indian fan is likely to forget his exploits against New Zealand last year when he announced how dangerous a batsman he can be, for bowlers to contend with if they ever thought they got the better of a powerful Indian batting line-up. His 115 at Ahmedabad made India draw a match which could have been easily lost, at a disastrous score of 15/5 in the second innings. While his unbeaten 111 in the following Test at Hyderabad was a much entertaining one and allowed India to get to 472 in the first innings, resulting in another draw. Prior to that too, Bhajji has proven why he could be an ideal No.7 Test batsman for India in the future. In the infamous Sydney Test of 2008, he may have been involved in a racial comment towards Andrew Symonds but he was definitely involved in 129-run partnership with Sachin Tendulkar, contributing 63 runs in the Indian innings which was crucial in the team getting an unlikely first innings lead. He scored another 63 two Tests later to help India get past 500 in the first innings and got India another draw on an otherwise wretched tour for the side. In the IPL as well, Harbhajan has been used many a times as a pinch-hitter at No.3 or No.4 by the Mumbai Indians to get some quick-fire runs since he has become a clean striker of the ball. He has clearly now become a batting all-rounder with 2164 runs in 98 Tests and in ODIs he too can play some vital cameos. However, his batting has let down what he is supposed to be the best at, bowling and as a result he is one of the rare examples in cricket of players who in the attempt of being all-rounders, have lost their place in the national side. 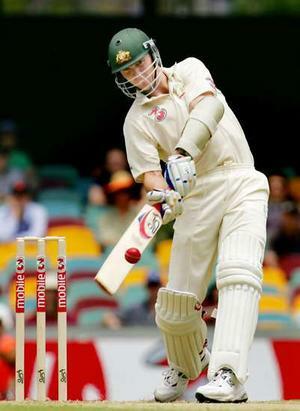 The wayward Aussie first showed he can bat atleast a bit, when he scored an unbeaten fifty against India in a losing cause in the Perth Test of 2008. After that, he was a force to reckon with and it was a must for Ricky Ponting to have him in the side, not just as his numero uno wicket-taking bowler but also as an effective No.8 batsman for an Australian side undergoing transition in all formats of the game. He bettered his batting performances and it was seen on the tour to South Africa in 2009 which was clearly Johnson’s series in terms of both bat and ball. Johnson’s unbeaten 96 eventually proved to be a major thorn in South Africa’s pursuit of winning the game at Johannesburg after Australia at a vulnerable 296/7 at one stage. While in the final Test at Cape Town, he hit his maiden century to deny what would have otherwise been an easy win to achieve for the hosts. Two years later, and it was in Johannesburg yet again that he hit a match-winning 40 runs off 47 balls remaining till the end alongside the debutant Patrick Cummins, assisting Australia to come out on top in a thrilling run-chase of 310 runs in the second innings. Speaking of ODIS, it was Johnson who laid the foundation of Australia’s Champions Trophy win in 2009 in South Africa with a blistering 73 off just 47 balls against a resurgent yet inexperienced West Indies attack which almost managed to humiliate the Aussies with their score being 164/6 in 35.3 overs. While in 2011, Johnson played some short-lived yet effective innings in Bangladesh putting behind a disastrous World Cup as Australia whitewashed the hosts 3-0. It is no wonder that he has a high strike rate of 96.85 in ODIS. Although Johnson is currently injured and is unlikely to get back his place in the Australian side seeing the sudden rise in their bowling stocks, it will be fascinating to see if Mitch can make a comeback into the team as he is the bowling all-rounder which Australia need in the future, now that their batting is not as powerful as before. Alongside Shane Warne in that fateful 2005 Edgbaston Test, it was Brett Lee who played a crucial role in taking the fight against hosts and archrivals England till the end. He stayed unbeaten at 43, and although his efforts were dashed, the image of Andrew Flintoff consoling Lee right after the match is etched in the minds of cricket fans who adore watching sportsmanship in even the most riveting of contests such as the Ashes. 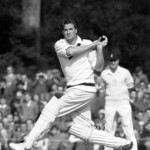 In that series, he played extremely well for his 47 in the first innings of the Nottingham Test match but again his contribution was too meager for Australia to avoid the follow-on and that gave England a 3-wicket victory in the end. Lee has scored useful 30s and 40s if not 50s in Test cricket and consequently, it has been hard to look at his contributions in detail. Australia had such strong names in their batting line-up that even when Lee scored; it is not acknowledged by many when the truth is far from different. After all, who knows what would have happened if Lee had not scored all those runs. In ODIS, he has a healthy strike rate of 81.72 despite his highest score being a mere 57. It is because he looks to hit with a straight bat rather than most tailenders who play cross-batted slog shots on a frequent basis which is unreliable. As a result, Australia won more ODIs than probably they should have as long as Lee played reasonably well at No.9. The feisty South African all-rounder was born in Johannesburg in 1982. He is close to aging 30 but that is not stopping him from improving his batting abilities from time to time. Botha is not just South Africa’s leading spinner in ODIS and T-20s but also a vital No.8 or sometimes No.7 batsman for his country, ever since the team has tried to find an all-rounder following the retirements of Nicky Boje, Lance Klusener and Shaun Pollock. He has been unable to score a single fifty for South Africa as yet but his batting skills have been highlighted in the T-20 format, especially in the last 12 months. Being the captain of the Warriors team in South African domestic cricket, Botha promotes himself up the order at times to play some key knocks for his side and that was seen in the Champions League 2011 in India. While in the IPL last year, Shane Warne made him bat at No.3 in the initial matches due to the absence of Shane Watson from the Rajasthan Royals roster and he repaid that faith with match-winning innings which briefly put Rajasthan in the top 3 of the points table. If given more opportunities and promoted up the order if possible, he has the potential to score big and fast and these are good signs for the South African team, which has failed to win a single global event since the Champions Trophy in 1998. Swann maybe England’s numero uno spinner at the moment, but his contributions with the bat have also been vital for winning Test matches especially for his country. 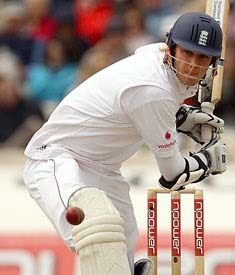 Ashley Giles could also bat a bit, but England could never find a spinning all-rounder until the emergence of Swann. His 55-ball 63 in the second innings of the Oval Test against Australia in 2009 was critical in England going to win by 197 runs since it came in quick time and made Andrew Strauss’ life easier when it came to declaring the innings. There were other significant contributions from him in the same series but he actually showed his true batting abilities in South Africa a few months later. Against a promising host attack, Swann smacked 85 runs off 81 balls on a deteriorating Centurion pitch. He top-scored in the innings and that blitzkrieg might have helped England go on to draw the match, which could have been an innings defeat. He has been England’s worthy No.8 batsman now especially in Tests, with Stuart Broad batting at No.9. However even in ODIS, Swann can hit the big shots and a strike rate of 89.39 is a clear proof of this. He was the man who changed the course of the see-saw game against India at Bangalore in the World Cup last year when he nervelessly finished unbeaten on 15 runs off just 9 balls smashing a superb six towards the end of the innings. England could maintain their No.1 spot in Tests with Swann being able to bat and bowl equally well these days and can end their ODI woes as well if Swann could be asked to bat up the order or sometimes be bought in as a pinch-hitter. Graeme Swann and Stuart Broad are not only constituents of England’s top bowling pair, but also the best No.8 and No.9 in the business. Batting is in Broad’s genes with his father and now match referee Chris Broad, being an opening batsman at one point of time. 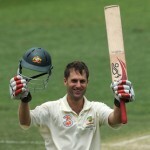 He bats even better than Swann and that is seen by a better Test average of 29.02 and a highest score of 169. The 169 came against Pakistan in the tainted Lords Test in 2010. Although it is uncertain whether the visitors played fairly throughout the game, but England were wobbling at one stage at 102/7 in the first innings until it was the Broad show that Pakistan had to endure and the game slipped out of their hands, with the match-fixing controversy playing the role of the catalyst. Lords has been his lucky ground as three of his highest scores in Tests have come here with the recent one being a 74 not out against India which demoralized them completely and led to an England win. He has the potential to be a No.6 or for that matter a No.5 in the future for the side which has less batting reserves, but for now he should be regularly batting at No.8 above Swann if England want more contributions from him. The future is bright for the emergence of effective lower-order batsmen as teams desperately need bowlers who can bat exceptionally well these days. The likes of Praveen Kumar, Ishant Sharma, James Pattinson, Patrick Cummins, Peter Siddle and Dale Steyn to an extent are some examples of players who can flourish in their careers with their performances batting-wise and can give their teams a huge competitive advantage, guiding their teams to the top of the rankings eventually.